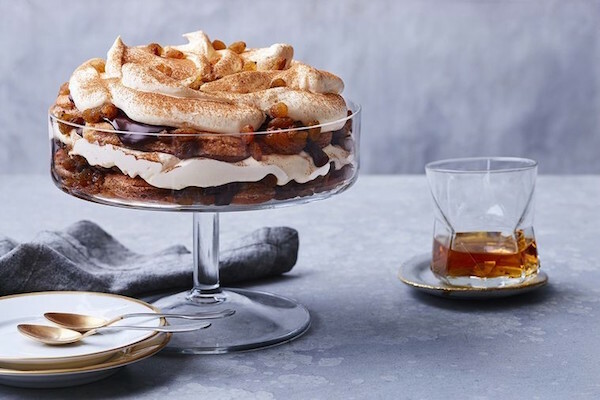 Enjoy this delicious classic tiramisu with a wonderful Christmas twist. To make the mascarpone cream, place egg yolks and ½ cup sugar in a stand mixer fitted with the whisk attachment and whisk for 5 minutes or until thick and pale. Add mascarpone and cream, and whisk (do not over whisk) until thick and combined. Transfer to a bowl and set aside. Add egg whites and whisk to stiff peaks. In 2 batches, gently fold egg white into the mascarpone mixture, then chill until required.